We sell over 50 unique log cabin designs, but here are our favourites. 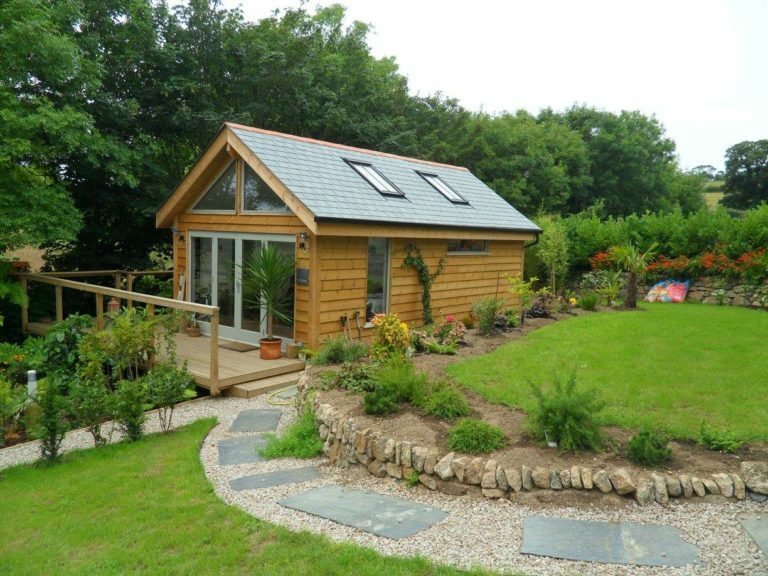 Try our cabin finder to find the perfect building for your garden. 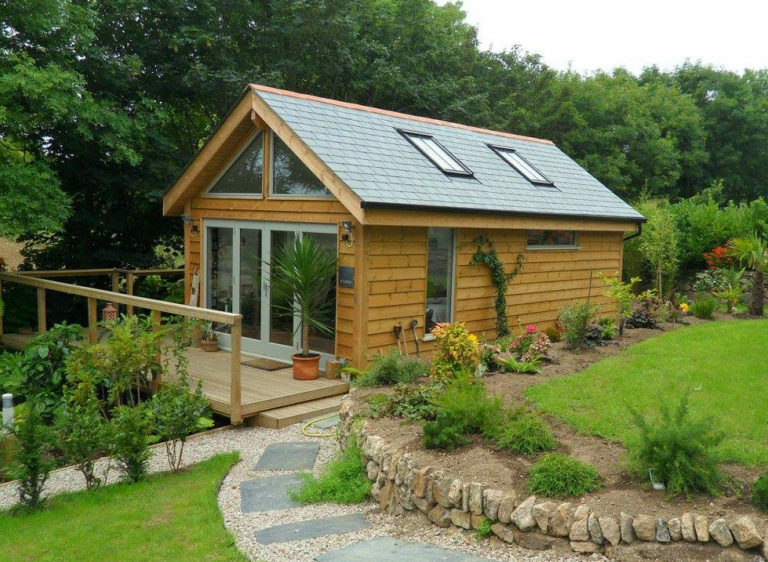 In most situations our log cabins can be built under planning permitted development rules. Our planning permission guide gives more details, but if you have any questions regarding our log cabins or permitted development rules, get in touch with us. 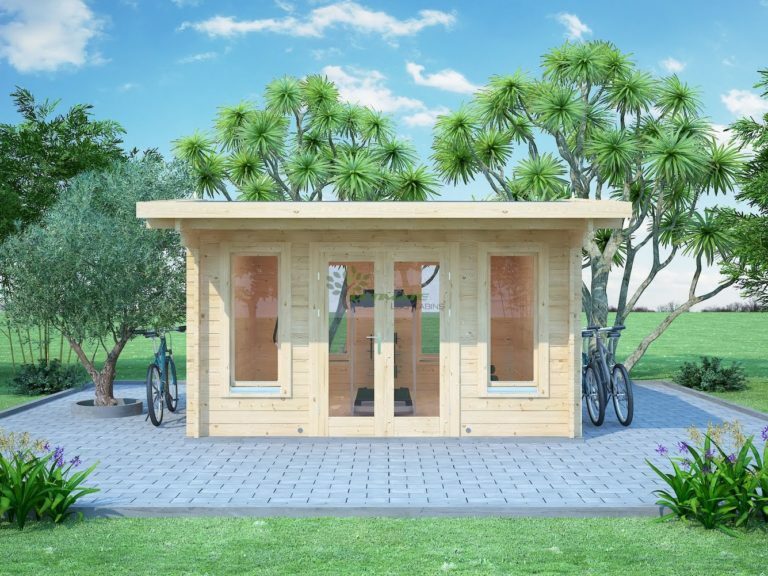 Log cabins are the cheapest, quickest and easiest way to add an office to your garden. 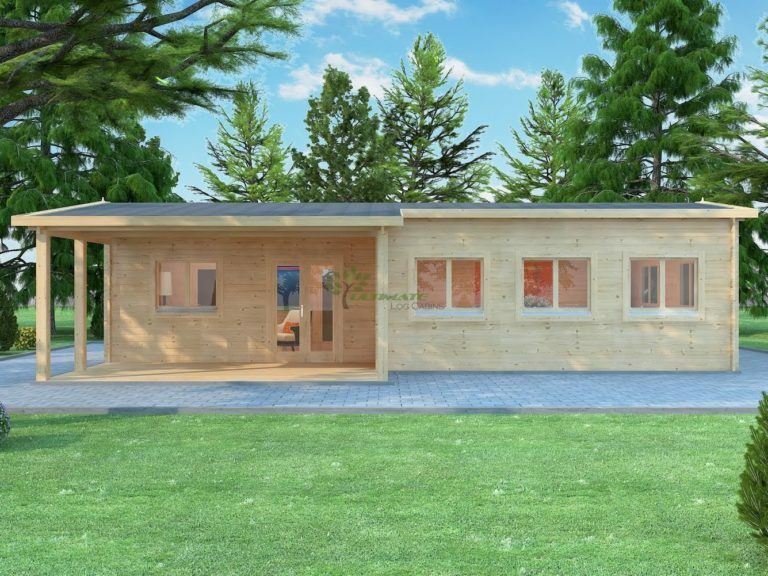 All our cabins are double glazed and come with insulation and construction options. Enter your budget, the width or depth of the cabin you require, and we'll find all of our cabins that match. If you know a cabin code, enter it to jump straight there. 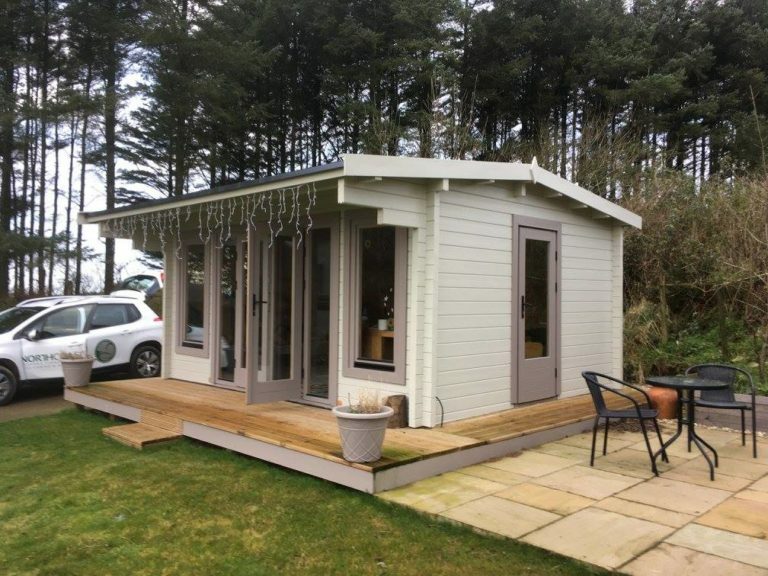 A 70mm cabin with insulated floor and roof. 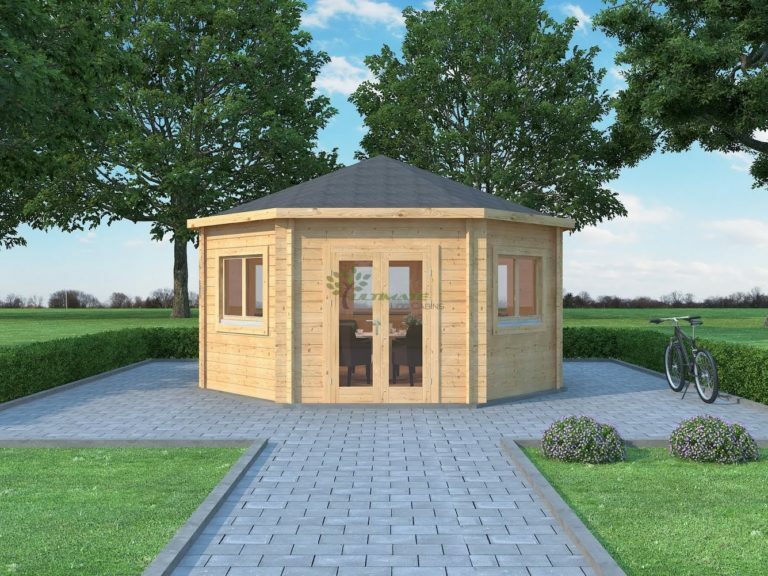 A 44mm interlocking garden cabin with felt shingle roof. Can I say what a great job you and your guys have done for us. We are extremely pleased with both job you have done for us. Can you pass on my thanks to them all. I did give them a few quid for a drink yesterday, make sure you get one!!! Had a good look and use of the garage last week and just wanted to say thanks and we are very pleased with the way it has turned out. 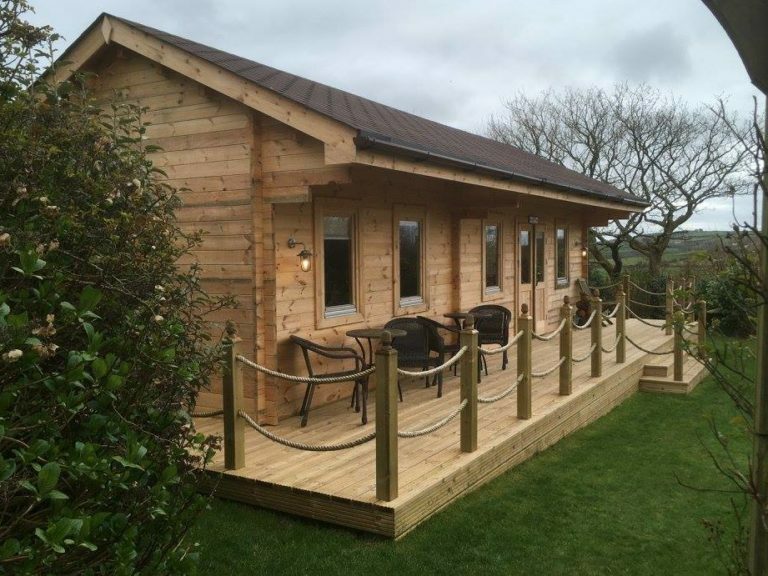 We are a family run business with more than 20 years of experience, designing, supplying and constructing log cabins and other wooden buildings. We offer the very best in quality and service. 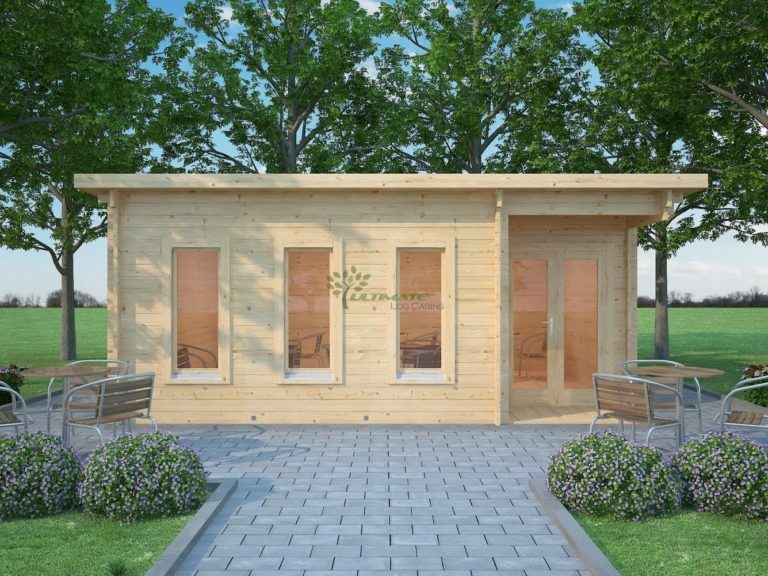 All of our cabins are designed by us, and not for sale anywhere else. Our buildings are far superior to those you will find at garden centres and other cheap retailers. All prices include VAT and FREE delivery in England and Wales. 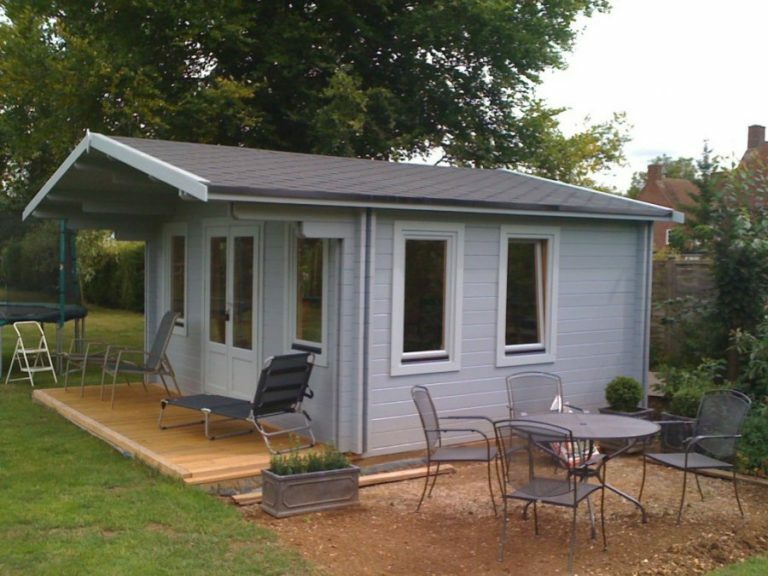 We can offer a construction service on all our cabins. Find out more about us. 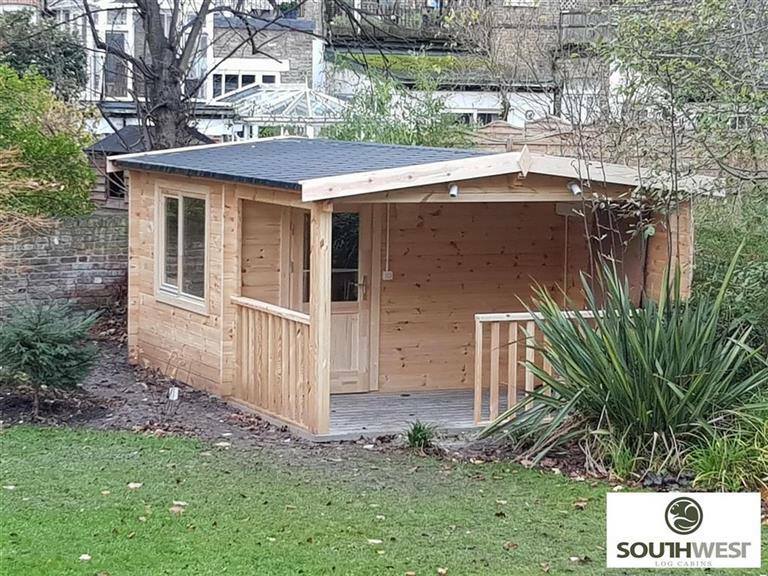 South West Log Cabins is a family run business with more than 20 years of experience supplying wooden buildings across Cornwall, Devon, England and the whole of the UK. 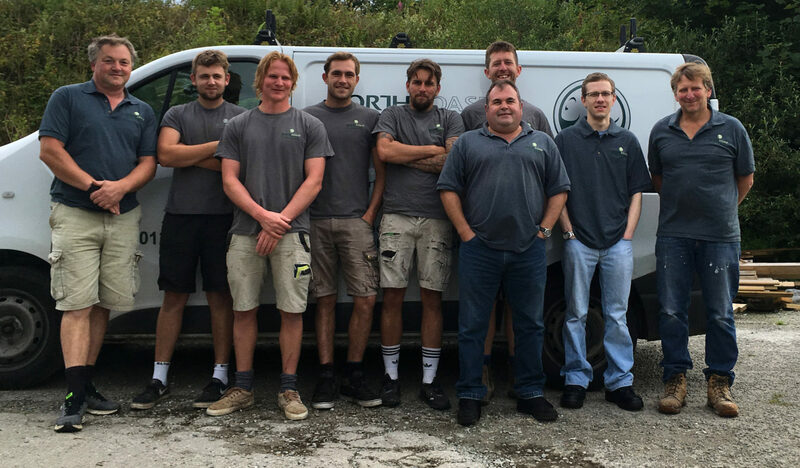 We pride ourselves on the quality of the buildings and level of service we provide to our customers. 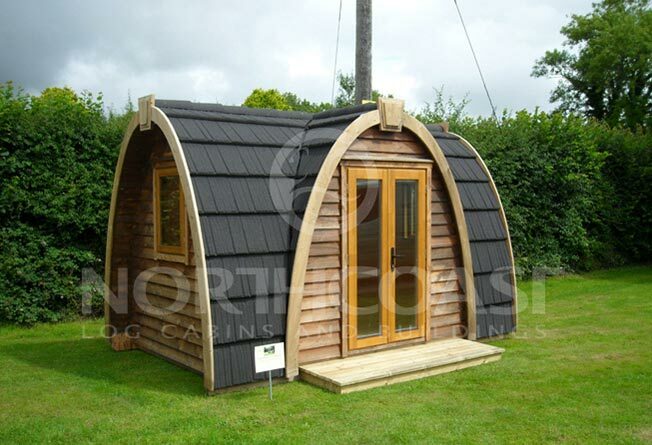 We are not simply an importer of log cabins, like many business. We are a family run business where we value each of our customers and the log cabin we supply to them. 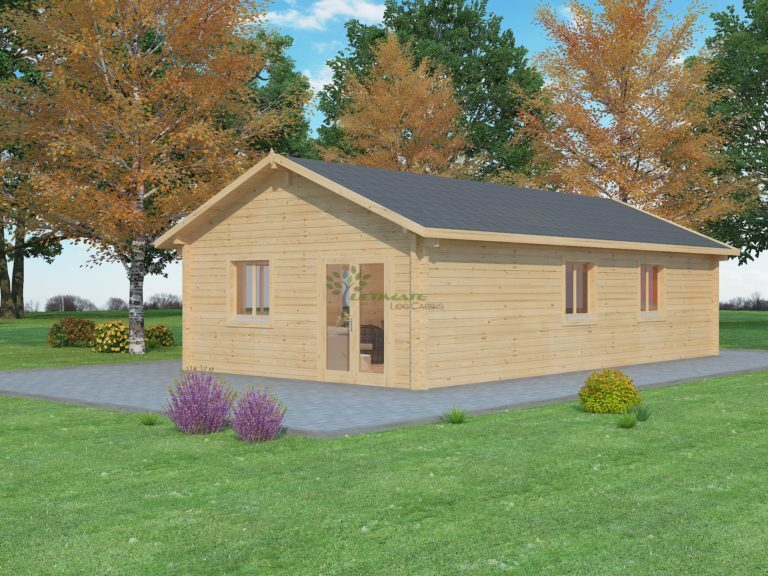 We design, create, supply and build log cabins. We do not supply the cheap flimsy cabins you may find other suppliers selling. 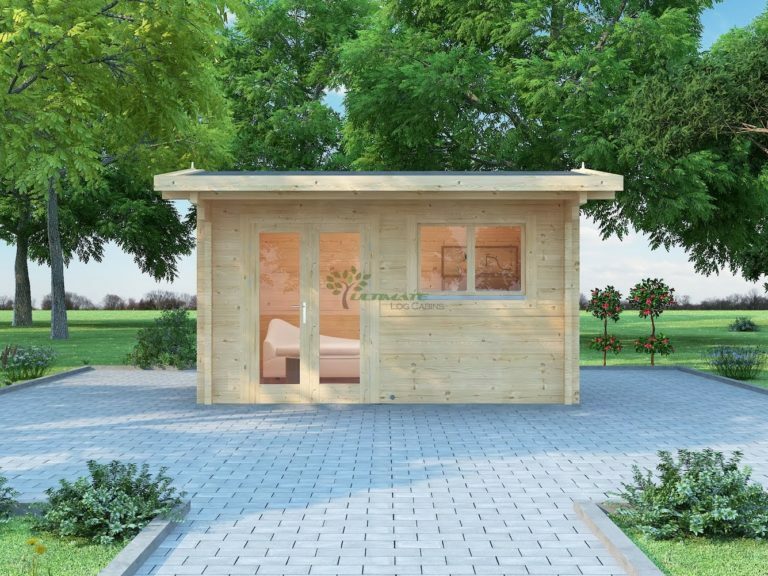 We do not supply our cabins with thin walls or floors. We only supply 44mm cabin walls and larger. All of our cabins come with double glazed doors and windows as standard. They are of the highest quality, with beautiful smooth actions, and high quality locks. 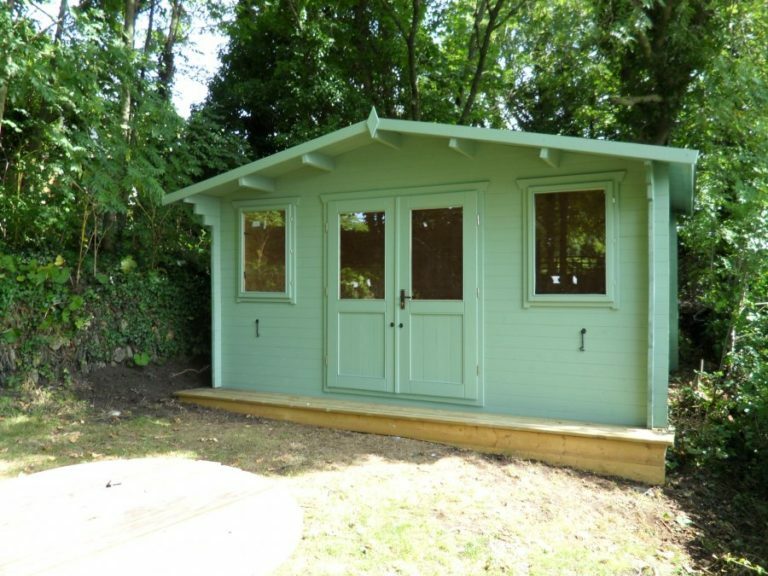 Our small cabins can typically be built in a single weekend by two people with regular DIY tools. Our log cabin construction guide will give you a really good idea of the process. 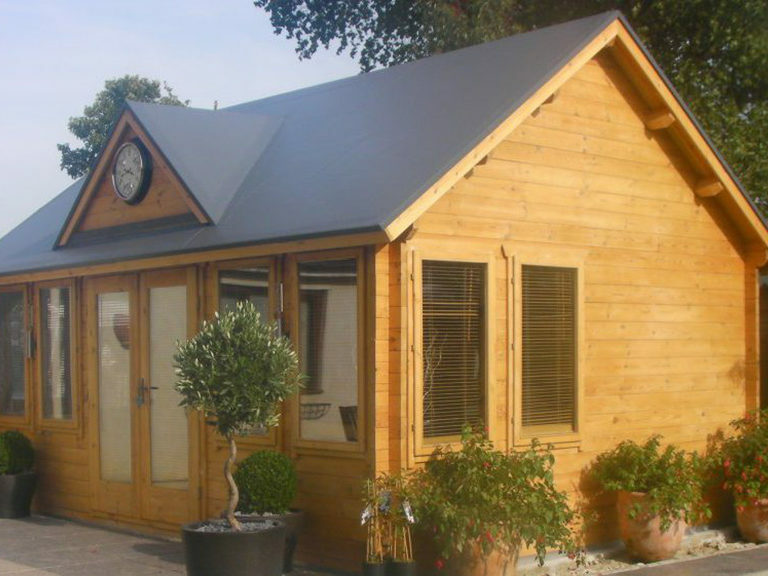 We have an enormous range of buildings, from summerhouses to offices and school clubs. 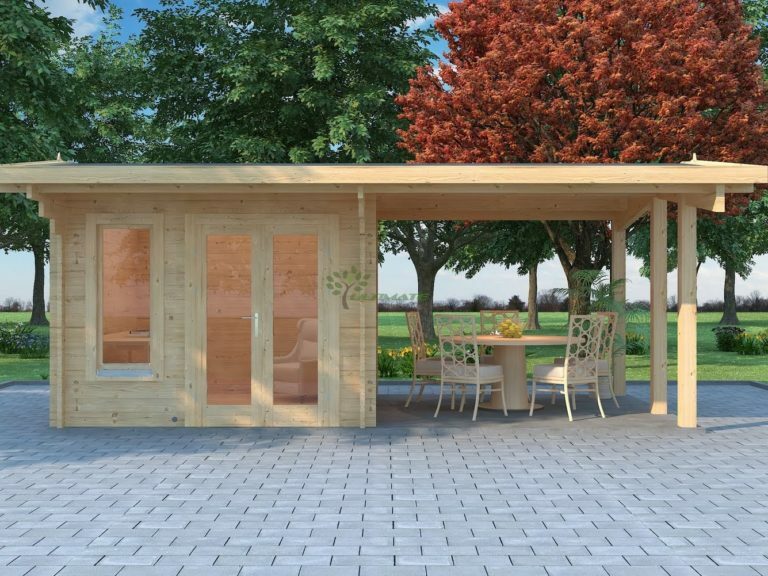 In many cases our cabins can be built without planning permission, meaning you can order the cabin now and build it straight away. We are always happy to talk and discuss which building will suit you and your family best. 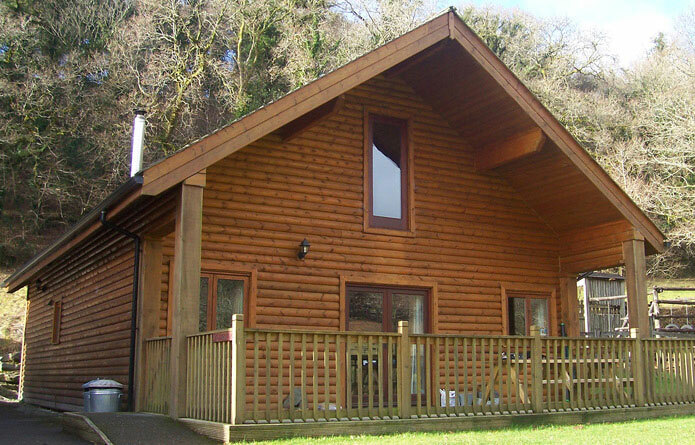 For more information about any of our log cabins or services give us a call on 01208 850376, or email us. As well as suppling log cabin kits we design and build lots of other buildings. Take a look at our other websites to see these great buildings. We also design and build custom buildings including bespoke timber homes, offices, pre-schools, shops and more. Get in touch with us to find out how we can build the perfect custom building for you. 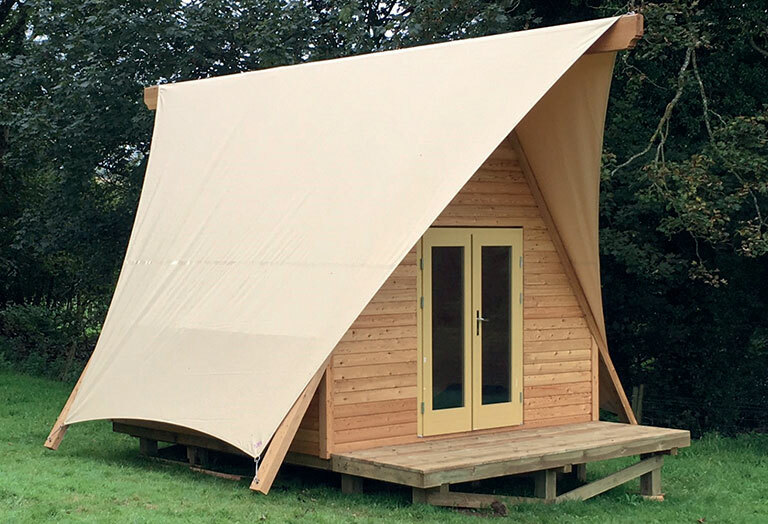 North Coast’s latest addition to the popular Glamping range. Make a statement with this unique elegant design. 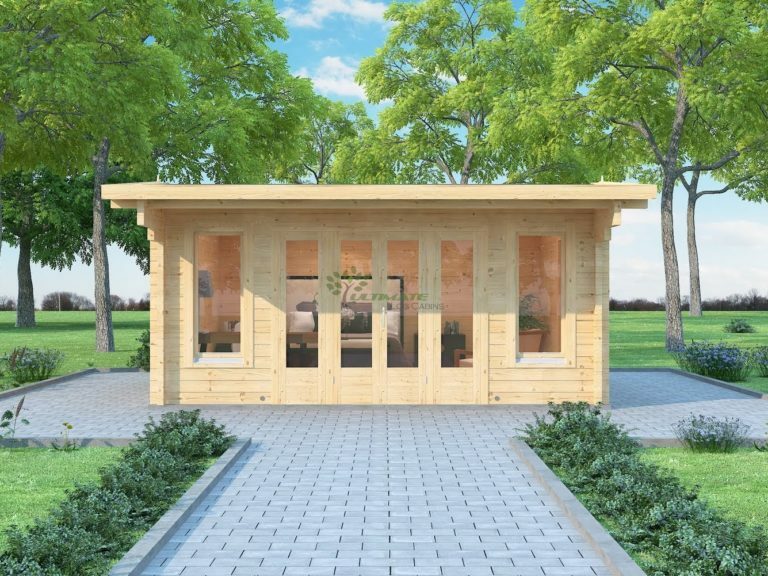 We are a family run business with more than 20 years of experience, designing, supplying and constructing log cabins and other wooden buildings. © Copyright 2018 South West Log Cabins.